3. AC Milan to use Andre Silva in Thauvin deal? The world is in need of Wonder Woman once more and she’s ready to answer the call of duty! So, in this Playtech release, join Diana as she beats back the baddies. If you’re really lucky, you might win one of the four progressive jackpots! "In the cold, harsh North, honour and valor are doubly important. In a place where…"
"The world is in need of Wonder Woman once more and she’s ready to answer…"
"The battle to keep your brains from getting eaten by zombies has never looked quite…"
"They say lucky gamblers have a magical touch that lets them tilt the odds in…"
The Amazon Queen returns to the reels once more! This time around, her goal is to face off against the fierce Cheetah and stop the world from going to hell. But don’t think Wonder Woman stands alone in this Playtech release. 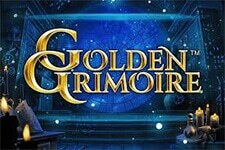 You will find other characters from the series on the playing field, adding further depth to the existing line-up. This slot is played on a 5-reel, 3-row board with 30 fixed paylines. Set in the idyllic and appropriately named Paradise Island, it’s a battle of good versus evil between Diana and Cheetah. Those who join the battle will find themselves rewarded with numerous special features. Goodies like Fire Wilds, Re-spins, the Cheetah Spin and three different free spins bonuses. And for the very best fighters, a shot at winning the DC Super Heroes progressive jackpot! Under the section labelled as Total Bet, players can use the plus and minus buttons to adjust their wager. Your stake can be set as low as $0.15, or as high as $300 per spin. Symbols are split into higher and lower paying tiers. Low win icons include 10, J, Q, K and A, with their standard, colorful designs. 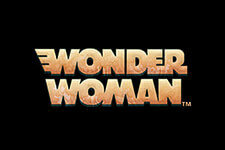 Higher paying symbols are several characters relevant to Wonder Woman’s story. These include Steve, Barbara-Ann and Ares, among others. The heroine’s sigil is Wild and can substitute for all other icons except for Scatters. Meanwhile, the symbol that depicts Diana and Cheetah facing off is Scatter and is used to trigger free spins. If Fire Wild appears on the third reel, it transforms one of the higher paying icons into extra Wilds. If Wonder Woman appears fully stacked on the first and fifth reel, re-spins are played. All Diana symbols are locked in place and only Wonder Woman or blank icons can appear. Re-spins continue until the reel is filled with Wonder Woman symbols or no new Diana icons emerge. Barbara Ann symbols fully stacked on the first and fifth reels activates the Cheetah bonus. All high-value icons from the middle three reels transform into Cheetah for that single spin. 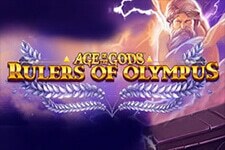 Two Scatters in the first and fifth position simultaneously activates one of three free spins special features. The choice is made randomly each time, so you cannot pick your favourite. Cheetah Free Spins: Any high-paying symbol appearing in a winning combination transforms into the Cheetah. 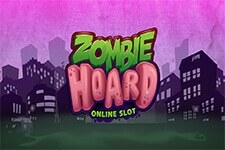 This lasts until the end of free spins. 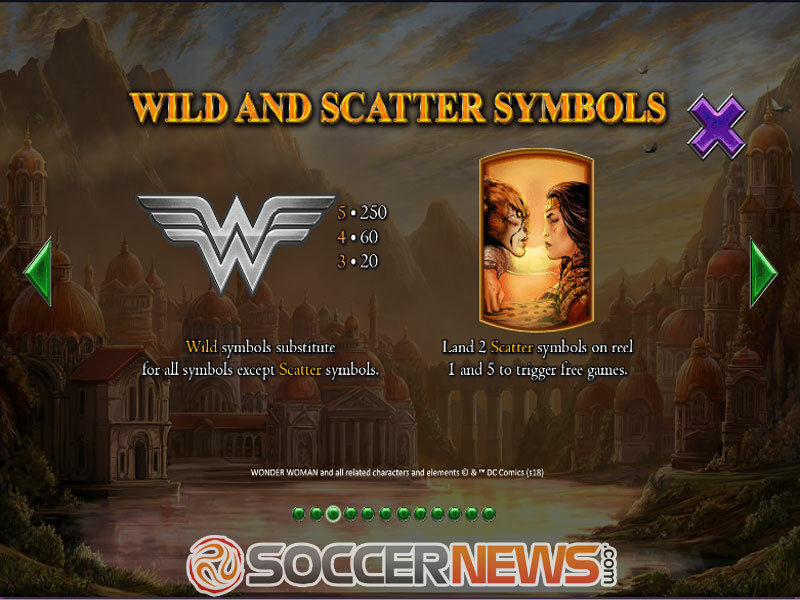 Wonder Woman Free Spins: One symbol is guaranteed to appear stacked on every spin. Eligible icons include 10, Q, A, Steve, Diana or Aries. Fire Wild Free Spins: Fire Wilds can appear on the middle three reels. Each time a fire Wild does appear, they transform one high paying symbol into themselves. With three Wilds, up to three icons can be changed every spin. Wonder Woman is a high volatility game with an RTP of 95.34%. It also has not one, but four progressive jackpots, so your big prize is guaranteed if you can win them! 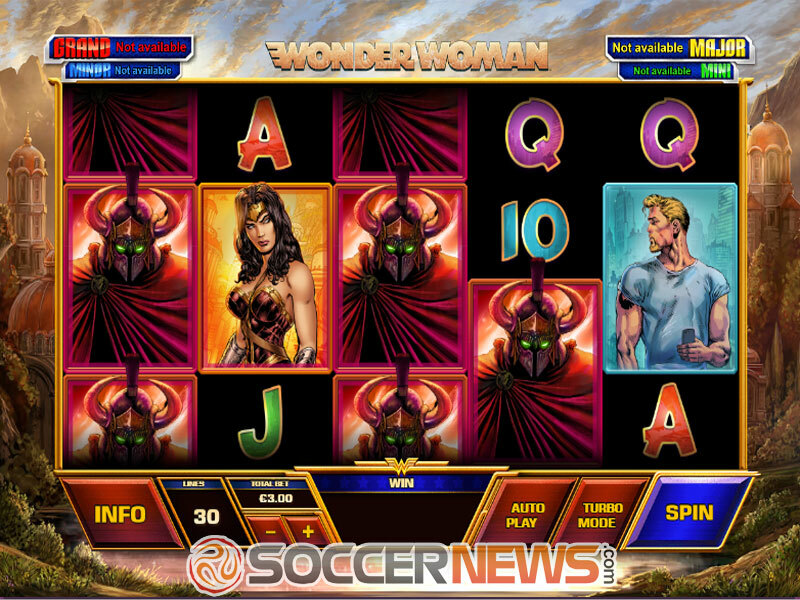 Visit any Playtech-powered online casino and fight side-by-side with Wonder Woman. Beat back the evil Cheetah and save the world! "Playtech slots can be somewhat hit and miss at times, but this one knocked it out of the park. The sheer number and variety of special features it offered was intense. 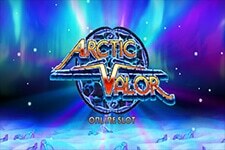 We do wish we were able to choose what free spins bonus we wanted to play, instead of having it be random each time. 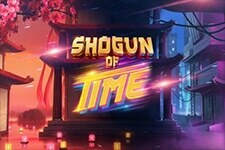 Still, with great visuals, and four progressive jackpots, we can easily recommend this game to anyone who’s interested." In the cold, harsh North, honour and valor are doubly important. In a place where no man can survive alone, trust is all the more important to survive the harsh climate. And the most valorous will find themselves aided by the powerful Valkyries when the time comes!